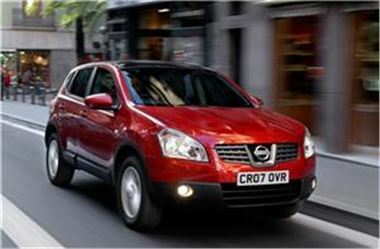 Automobile manufacturer Nissan has revealed that it has sold over 100,000 of its Qashqai model since the vehicle hit dealerships in March. The company has stated that in November it sold 17,554, 15,376 and 10,746 in the UK, Russia and Italy respectively. It added that consumers across the continent have responded well to the car because it provides "something new" on the market. Indeed, demand has been so high that it had to increase production of the vehicle at its Sunderland plant by 20 per cent in June. "Nissan Europe's product planners identified an opportunity in the market to design and develop a vehicle which provided more dynamic design, without the perceived aggression of a compact SUV," commented the firm. The announcement comes as industry news source Jalopnik has reported that the Japanese automaker will be suspending its operations in US autosports over 2008.